In an effort to establish more sustainable efforts in healing communities, NADA Philippines coordinates and journeys with organized communities through training of individuals based in the community, implementation and monitoring of the practice of the Protocol for a specified period of time. Working with a network of other agencies, NADA Philippines provides ear acupuncture services in disaster situations to address cases of trauma and depression. Training of individuals in the community is also initiated in order to engage them in the healing process as well as for sustainability of treatment. Individuals suffering from anxiety, insomnia, agitation, depression, burn-out. 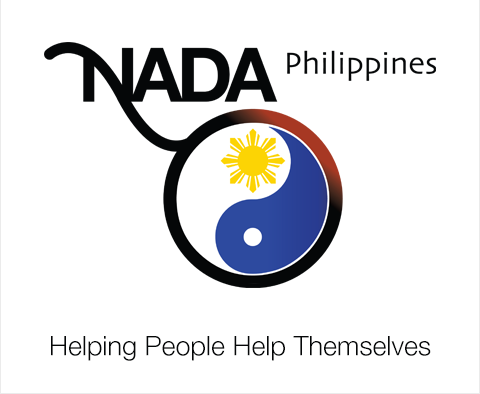 Currently, we have approximately 200 NADA practitioners in the Philippines. These practitioners belong to various fields in the helping profession and have integrated acudetox treatment into their practice in the provision of services for special populations.